PLEAS READ THESE CUSTOMER TERMS AND CONDITIONS CAREFULLY BEFORE REGISTERING FOR A USER ACCOUNT ON THIS WEBSITE / APPLICATION We encourage you to print a copy of these customer terms and conditions. You will be required to indicate your acceptance of these customer terms and conditions when registering for an account. نطلب منك طباعة نسخة من هذه الأحكام والشروط الخاصة بالعميل، وسنطلب منك الإشارة إلى موافقتك على هذه الأحكام والشروط الخاصة بالعميل عند التسجيل لفتح حساب. By registering for a User Account and/or purchasing domestic maintenance and related services from third party service providers, You acknowledge and agree that You have read, understood, accepted and agreed with these Customer T&Cs. وفهمتها وقبلت بها ووافقت عليها. SERVE ME for design and internet websites management is a company incorporated under the law of Kuwait with commercial registration number 392333 ( SM ). SM s registered address is Kuwait City (alqibla), Fahad alsalem Street block 13, Building Number: 27 Third Floor Office Number: 303. 2.2 SM is the owner and/or licensor of the Online Tools and is in the business of providing the Services. 2-2 تمتلك سيرف مي و/ أو ترخص وسائل الكترونية وتمارس أعمال تزويد الخدمات. 2.3 SM s Services enables You to arrange and schedule the performance of domestic maintenance and related services by independent third party service providers who You acknowledge and agree are independent from SM or any of its affiliates. 3.1.3 SM does not control or have any right to control, whether under these Customer T&Cs or otherwise, the manner or means by which any Service Provider performs the services You have requested the performance of. 4.1 You acknowledge and agree that these Customer T&Cs govern Your access to and use of the Services. 4.1 تقر وتوافق على هذه الأحكام والشروط الخاصة بالعميل التي تنظم حصولك على الخدمات واستخدامك لها. 4.3.2 delete Your User Account. 5.1 To use the Services, You are required to register for and maintain a User Account. 5.2 To register for a User Account, You are required to be at least 18 years old and provide SM with the required Account Information. 5.3.2 where You are using a User Account on behalf of a company, You have the requisite legal authority to do so. 5.4 You acknowledge and agree that a breach of Clause in the termination of these Customer T&Cs and Your access to the Services. 5.5 You may only possess 1 User Account, unless otherwise authorised in writing by SM. 5.6 You shall at all times maintain the security and secrecy of the username and password of Your User Account. 5.7 You shall not authorise any third party to access or use Your User Account. 5.8 You shall be responsible for all activity that occurs under Your User Account, unless You provide sufficient evidence to SM s reasonable satisfaction that Your User Account was the subject of unauthorised use. 5.8 ستكون مسئولا عن كل الأنشطة التي تجرى بحساب المستخدم الخاص بك، إلا إذا قدمت دليلا كافيا ومقنعا لسيرف مي بأن حسابك تعرض لاستخدام غير مصرح به. 5.9 You shall notify SM of any breach of security of Your username and password immediately. 5.10 You may not assign or otherwise transfer Your User Account to any other person or entity. حين يكون الحساب خاصا بك شخصيا، لن تقوم بتصميم نسخة مطابقة منها أو بيعها أو تحويلها بأي أسلوب أو عرضها على عامة الجمهور. 5.12.6 may expire prior to Your use. 5.13 Where SM reasonably believes You have breached Clause You acknowledge and agree that SM shall have the right to reclaim from You the equivalent of the credit/benefit conferred by the Promo Code in breach of its terms. 6.1 You are required to login to Your User Account to make a Booking Request. 6.1 يجب الدخول على حساب المستخدم الخاص بك لتقديم طلب حجز. 6.2 After choosing the type of service You wish to procure, SM will stipulate the charges for that service and You may choose whether to proceed with submitting Your Booking Request. 6.2 بعد اختيار نوع الخدمة التي ترغب في الحصول عليها، ستقرر سيرف مي الأتعاب التي مقابل تلك الخدمة ويجوز لك أن تختار متابعة تقديم طلب الحجز الخاص بك. 6.3 After You have submitted Your Booking Request, SM will make Your name, contact details, address, requested booking date and time and scope of requested domestic maintenance and related services available to all Service Providers in SM s database at the charges stipulated by SM. 6.3 بعد تقديمك لطلب الحجز الخاص بك، ستقدم سيرف مي اسمك وبيانات الاتصال بك وعنوانك والتاريخ الحجز المطلوب وزمانه ونطاق خدمات الصيانة المنزلية والخدمات المتصلة بها المطلوبة لجميع مزودي الخدمات في قاعدة بيانات سيرف مي بالأتعاب التي تقررها سيرف مي. 6.4.2 send a confirmation receipt to Your designated email address. 6.6 You may elect to cancel Your Booking Request at any time prior to the scheduled booking date and time, in which case You may be charged a cancellation charge, calculated in accordance with the Operations Policy. 6.6 يجوز لك أن تقرر إلغاء طلب الحجز الخاص بك في أي وقت قبل تاريخ الحجز وزمانه المحدد، وفي هذه الحالة قد تفرض سيرف مي رسوم إلغاء يتم احتسابها وفقا لسياسة العمليات. 7.1 The Services may be made available or accessed in connection with third party services and content that SM does not control. 8.1 Where You have selected cash as the payment method, the Service Provider will collect the charges from You in cash upon successful completion of Your Booking Request. 8.2 Where Clause 8.1 does not apply, SM will, upon the Service Provider s acceptance of Your Booking Request, facilitate the payment of applicable charges on behalf of the Service Provider as its limited payment collection agent by making a debit on the debit or credit card associated with Your User Account. 8-2 عندما لا ينطبق البند 8-1، تقوم سيرف مي عند قبول مزود الخدمات لطلب الحجز الخاص بك، بتسهيل دفع الأتعاب المقررة نيابة عن مزود الخدمات بصفتها وكيل تحصيل محدد عنه بالخصم من بطاقة الخصم أو بطاقة الائتمان المرتبطة بحساب المستخدم الخاص بك. 8.3 In relation to any and all cancellation charges payable by You pursuant to Clause 6.6, SM will facilitate payment to the Service Provider by making a debit on the debit or credit card associated with Your User Account. 8.3 بشأن أي وكل رسوم الإلغاء المستحقة الدفع من جانبك بموجب البند 6-6، ستسهل سيرف مي الدفع إلى مزود الخدمات بالخصم من بطاقة الخصم أو بطاقة الائتمان المرتبطة بحساب المستخدم الخاص بك. 8.4 The payment in Clause 8.2 shall be deemed to be direct payment by You to the Service Provider. 8.5 All charges stipulated by SM are inclusive of all applicable taxes. 8.6 All charges paid by You are final and non-refundable, unless otherwise determined by SM. 8.6 تكون كل الرسوم التي تسددها نهائية وغير مستردة، إلا إذا قررت سيرف مي بخلاف ذلك. 8.7.2. such Promo Codes, unless also made available to You, shall have no bearing on Your use of the Services or the charges applied to You. 8.8 Please note that You may, but are in no way obligated to, provide any additional payment as gratuity to any Service Provider for services performed. 9.1 After successful completion of Your Booking Request, You have the opportunity to rate and review Your Service Provider. 9.1 بعد إتمام تنفيذ طلب الحجز الخاص بك بنجاح، تكون لديك الفرصة لتقييم والتعقيب على أداء مزود الخدمات الذي قدم الخدمات لك. 10.1.4 You shall not engage any Service Provider on SM s database other than through the legitimate use of the Services. 11.1 تقر وتوافق بأن تقديم الخدمات يكون على أساس "كما هي" و"كما تكون متوفرة"
11.2.3 relating to the quality, suitability, safety or ability of Service Providers. 11.3 SM excludes all conditions, warranties, representations or other terms which may apply to the Services to the maximum extent permitted by applicable law. 11.3 تستثني سيرف مي كل الشروط أو الضمانات أو التصريحات أو غيرها من المصطلحات التي قد تنطبق على الخدمات إلى أقصى حد يسمح به القانون المعمول به. 13.2.4 any delay or failure in performance resulting from causes beyond SM s reasonable control. 13.3 SM shall not be liable to You for any loss of production, loss of use, loss of revenue, loss of profit, loss of contract, loss of goodwill, or any indirect, consequential or special loss under these Customer T&Cs. 14.1.3 violation of any third party rights. 14.2 For the purposes of Clause 14.1 SM shall be deemed to include its affiliates, employees, agents, directors, shareholders and officers. 15.1 SM may, in its sole and absolute discretion and at any time, terminate Your use of Your User Account. 15.2 You may delete Your User Account at any time. 15.3 Where Clause 15.1or 15.2 applies, these Customer T&Cs shall be deemed terminated between You and SM. 16.1 The termination of these Customer T&Cs shall be without prejudice to the rights and remedies of either party which may have accrued under these Customer T&Cs or applicable law up to the date of termination thereof. 16.1 يكون إنهاء هذه الأحكام والشروط الخاصة بالعميل دون المساس بحقوق وتعويضات أي من الطرفين المستحقة بموجب هذه الشروط والأحكام الخاصة بالعميل أو القانون المعمول به حتى تاريخ الإنهاء. 16.2 Clauses 12, 13, 14, 16 and 17 shall survive the temination of these Customer T&Cs. 16.2 does not limit the survivability of other provisions, which by their nature, are likewise intended to survive the termination and/or expiry of these Customer T&Cs. 17.1 You acknowledge and agree that We may revise these Customer T&Cs at any time without any need to formally notify You. 17.3 You will be able to view, and You agree to check each time You access Your User Account, the current version of these Customer T&Cs within the App or the Site. 17.4 In accepting and agreeing these Customer T&Cs, You hereby warrant and represent to SM that You have the lawful capacity and authority needed for You to do so. 17.4 عند قبول هذه الشروط والأحكام الخاصة بالعميل والموافقة عليها، فإنك بموجب هذا تضمن وتصرح لسيرف مي بأن لديك الصفة والسلطة القانونية اللازمة لقبولها والموافقة عليها. 17.5 You acknowledge and agree that SM can and will rely on any and all warranties and representations You provide to us under this Customer T&Cs. 17.6 Both You and SM shall comply with all applicable law's. 17.6 ستمتثل أنت وسيرف مي لجميع القوانين المعمول بها. 17.7 Neither You or SM shall be liable to the other (as the case may be) for any delay or non-performance of its obligations under these Customer T&Cs as a direct result of an established Force Majeure Event. 17.7 لا تتحمل أنت ولا سيرف مي المسؤولية تجاه بعضكما البعض (حسب الحال) عن أي تأخير في أداء أو عدم أداء التزاماتكما بموجب هذه الشروط والأحكام الخاصة بالعميل كنتيجة مباشرة لحدث القوة القاهرة المثبتة. 17.8 These Customer T&Cs constitutes the entire agreement between You and SM relating to Your use of the Services, to the exclusion of all other terms and conditions, and any prior written or oral agreement between both parties. 17.8 تُعتبر هذه الشروط والأحكام الخاصة بالعميل كامل ما تم الاتفاق عليه بينك وبين سيرف مي بشأن استخدامك للخدمات واستبعاد كل الأحكام والشروط الأخرى وأي اتفاق سابق كتابي أو شفوي بين الطرفين. 17.9 You may not assign, novate, or otherwise transfer all or any of Your rights, benefits or obligations under these Customer T&Cs without SM s prior written approval. 17.10 SM may assign, transfer or deal in any way with its rights under these Customer T&Cs including to an affiliate or any third party. 17.11 No failure to exercise, nor any delay in exercising, any right, power or remedy under these Customer T&Cs shall operate as or be deemed a waiver of the same. Waivers must always be given in writing. 17.11 لن يُفسر أي تقصير أو تأخير في ممارسة أي حق أو صلاحية أو تعويض مستحق بموجب هذه الشروط والأحكام الخاصة بالعميل أو يُعتبر أنه تنازل عنها، ويجب أن يكون أي تنازل عنها كتابيا. 17.12 Any waiver of any breach of these Customer T&Cs shall not be deemed to be a waiver of any subsequent breach. 17.13 Where any provision of these Customer T&Cs is determined to be invalid, illegal or void by any court or administrative body of competent jurisdiction, these Customer T&Cs shall be deemed modified to the minimum extent necessary to make them valid and enforceable. 17.13 إذا أصبح أي من أحكام الشروط والأحكام الخاصة بالعميل غير ساري أو غير قانوني أو باطلا من جانب أي محكمة أو هيئة إدارية أو اختصاص قضائي، تعتبر هذه الشروط والأحكام الخاصة بالعميل معدلة للحد الأدنى اللازم لتصبح سارية وقابلة للتنفيذ. 17.4 Where the deemed modification in Clause 17.13 is not possible, the relevant invalid, illegal or void provision(s) shall be deemed deleted and the rest of these Customer T&Cs shall still remain in full force and effect. 17.15 You and SM are and shall remain independent parties and neither You nor SM shall have, or represent itself to have, any authority to bind the other party to act on its behalf. 17.15 ستظل أنت وسيرف مي أطرافا مستقلة ولن يكون لديك أو لدى سيرف مي أي صلاحية لإلزام الطرف الآخر للتصرف نيابة عنه، أو الادعاء بأنه يمتلك تلك الصلاحية. 17.16 Nothing in these Customer T&Cs shall be construed to make either You or SM an agent, employee, franchisee, joint venturer or legal representative of the other party. 17.17 These Customer T&Cs do not create any rights that are enforceable by any third parties. All notices under these Customer T&Cs shall be in writing and shall be delivered by email to the party due to receive it at the party s designated email address. In SM s case, please send it to hello@srvme.com. 17-18 تكون كل الإشعارات بموجب هذه الشروط والأحكام الخاصة بالعميل كتابية وتُسلم عبر البريد الالكتروني إلى الطرف المرسل له على عنوان البريد الالكتروني المحدد لذلك الطرف. 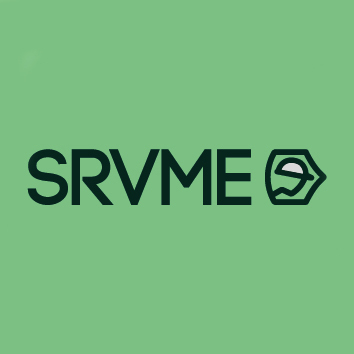 في حالة الإرسال إلى سيرف مي، ترسل الإشعارات إلى العنوان التالي: hello@srvme.com. 17.19 These Customer T&Cs are drawn up in the English language and the English language version of the same shall always prevail over any translation. These Customer T&Cs shall be construed, interpreted and administered in English. 17.20 These Customer T&Cs are governed by, and shall be construed in accordance with, the law of Kuwait. 17.21 Both You and SM irrevocably submit to the exclusive jurisdiction of the courts of Kuwait in relation to any disputes. 18.1.8 any other information We may request from You from time to time. 18.2 APP means the Srvme application downloadable via a relevant app store including those offered by Apple Inc., Google Inc., Microsoft Corporation or Research in Motion Limited or Amazon. 18.2 "تطبيق" يعني تطبيق سيرف مي القابل للتنزيل من خلال متجر التطبيقات ذي الصلة بما في ذلك تلك المتاجر التي توفرها آبل إنك، أو جوجل إنك، أو مايكروسوفت كوربوريشن، أو البحث على موشن ليمتد أو أمازون. 18.4 Customer T&Cs means these customer terms and conditions. 18.5 Force Majeure Event means any unforeseeable event or occurrence which is beyond the reasonable control of a party and which prevents or delays that party from performing any or all of its obligations under these Customer T&Cs (e.g. acts of God, civil unrest, political situations etc.). 18.9 Promo Code means promotional codes that may be redeemed for User Account credit or other benefits. 18.10 Services means the technology platform that enables users of the Site and/or the App to arrange and schedule domestic maintenance and related services with independent providers of such services. 18.11 Service Provider means any independent third party service provider who performs the services You request via use of the Services. 18.13User Account means the personal user account or business account that You register in Your personal capacity or on behalf of Your company with SM via the Online Tools to gain access to the Services.